When I applied to intern at The Barnes Foundation this summer, my knowledge of the Barnes was limited to the main concepts ingrained into the cultural consciousness surrounding the institution; the first being its unprecedented and unparalleled collection, containing works by masters such as Van Gogh, Monet, Manet, de Chirico, Modigliani, and Renoir, that were the educational platform for Dr. Barnes’ unique method of teaching and display. Naturally, the second was the contentious legal battle that brought the Barnes from the suburb of Merion, Pennsylvania into the city of Philadelphia. What I learned is that the “new” Barnes, celebrating its fifth year in Philadelphia this fall, is a museum in forward motion, recognizing the mission of the founder ingrained in its very core while actively embracing new methods of museum practice. I had the privilege of interning in Public Programs this summer, a department that is working on expanding this mission. Myself and my co-intern worked on a multitude of projects, and there is truly no way I could list them all here, but I have identified some of the highlights below to provide a snapshot of my work this summer. Meeting artist Mohamed Bourouissa and the members of the Fletcher Street Urban Riding Club. I ran a lecture with the French-Algerian artist Mohamed Bourouissa, local Philly artists, and riding club members who all participated in the Barnes’ special exhibition Urban Riders. I have a deep interest in the intersection of art and social activism, so meeting an artist and his community partners and hearing firsthand their experience was incredible. 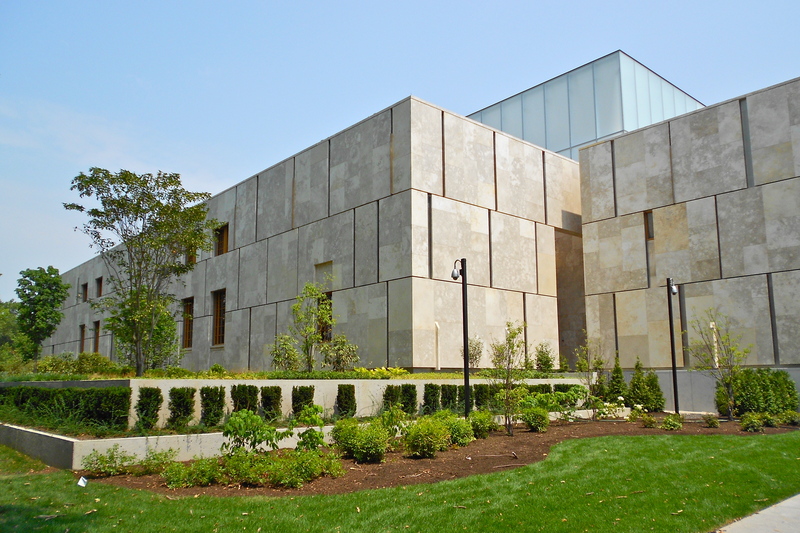 The Barnes’ collection is static, but the special exhibition space is often used for shows involving contemporary art that play upon themes of Barnes’ collection or his own personal life, or relates to the community. Working on the concert series. From prep work to day-of management, I assisted with three concerts. My favorite by far was Mozart in Havana with pianist Simone Dinnerstein. The orchestra was made up of about forty young musicians from Cuba who had come to the United States for the first time. Only three days before the concert, President Trump announced his new plan for restrictions between the United States and Cuba. The concert was a beautiful and moving testament to the power of art despite nationalist tendencies. On the day of the concert I helped move instruments from the University of Pennsylvania to the Barnes, worked to coordinate with AV and Visitor Services, took audience counts, set up the space, handed out programs, and guided the visiting musicians around the Barnes. It was a hectic day with an incredible result. Assisting in the debut of The Barnes Ensemble. My largest and most exciting project was preparing for the launch of The Barnes Ensemble, a groundbreaking contemporary music ensemble at the Barnes. A little-known fact is that Dr. Barnes was an avid music lover who advocated for contemporary music as fiercely as he advocated for contemporary art. He even would compare musical works to artworks in classes, and encouraged students to listen to music with the same focus on pure formal qualities as when looking at art. My supervisors, Robert Whalen and Katherine Skovira, are organizing these quarterly music festivals, which invite young professional musicians from around the world to perform contemporary music at the Barnes, to revive and expand upon this legacy. These festivals include public concerts, master classes, pop-up performances, and musician visits to Philadelphia schools. To aid in the success of the Ensemble, I worked extensively with many parts of the institution to prepare for all aspects of the Ensemble. This included working closely with the international musicians selected as fellows for the fall, the legal department for writing letters of invitation and contracts, the education department to coordinate musician visits to schools and an open rehearsal for students at the Barnes, volunteer coordinators to arrange homestays for our fellows, and AV to prepare for podcast recording during the festival. I had the opportunity to interact with so many parts of the institution, and truly felt I was able to be a part of the Barnes while I was there. I would like to conclude by noting that I cannot say enough positive things about my time at the Barnes, and do not think it possible to express my total enthusiasm in just a short article. Along with these departmental projects, I also was a part of the weekly intern activities that involved meeting with every department at the Barnes and taking field trips to other local institutions that were invaluable in shaping my understanding of my future career in museums. If you are considering applying, please do reach out to me. I am more than happy to discuss my experience!